Insurance is one of the best investments you can make. It is designed to protect your assets from the cost of physical damage, lawsuits, medical bills, and more. 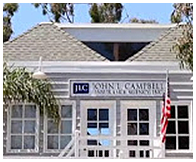 Be proactive about securing your personal or business finances by turning to JLC Insurance of Laguna Beach, California, for coverage. Our insurance agency is committed to providing you with the best in customer service. Call us now for insurance quotes based on your specific needs. Protect your car, home and your belongings with comprehensive coverage. Get the right coverage options to suit your life. Our business liability insurance and workers' comp programs provide policies to fit your specific business needs and budget. We offer a full spectrum of health and life insurance to meet your needs. John Campbell opened the doors to his insurance agency on March 1, 1976. A year later, his wife joined him in the business. Since then, the agency has grown to a staff of 9 employees. When you choose JLC Insurance, that means you'll only need one place for all of your insurance services. 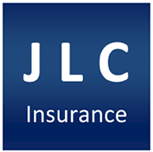 JLC Insurance insures auto, homes, health, commercial property, and businesses throughout the United States, Mexico, and Europe. In addition, we offer a full line of employee benefits (Individual/Group Medical, Dental, Life and Vision Plans) Estate Planning, Retirement Planning, Deferred Compensation Plans as well as, Pension/Profit Sharing Plans, and 401(k) plans. We believe that if we don't take care of our clients, someone else will. It's our goal to provide the best service to our clients and give them the necessary information to make informed decisions about their insurance. Call our knowledgeable insurance agents for a free consultation.